HTC 10 is the latest Android smartphone running on Android 6 Marshmallow, most of the users already bought the phone and wanted to unlock HTC 10 Bootloader. Once the Bootloader is unlocked on HTC 10, you can easily install the CWM or TWRP Recovery, Install Custom ROM and root the phone. In some regions and carriers HTC selling the HTC 10 with Unlock bootloader. 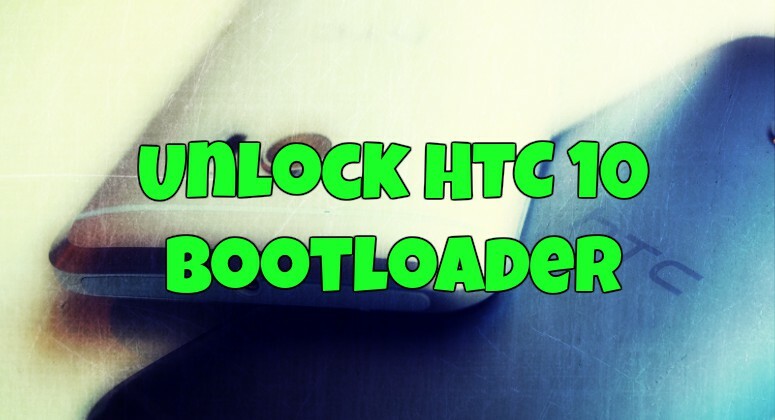 But if you have the phone with bootloader locked, here is the complete guide which you can follow on your phone and Unlock HTC 10 Bootloader. All you have to create an account with Official HTCdev site and it will help you to unlock the bootloader of your new HTC 10 Android smartphone. Unlocking bootloader will wipe all the data from your phone. So before proceeding the below mention tutorial do take the full backup of your phone and read all the instruction very carefully. Lets us take a look how to unlock the bootloader on HTC 10.
a) ADB/Fastboot files and USB drivers. Install it from here and this will create an ADB folder on your Windows PC drive (c:/adb). b) Enable USB debugging mode on your HTC 10.
c) An account on HTC dev website. Register here for a free account. Step 1. Once you created the account on HTC dev site. Visit this link and select your phone model to get started and click the “Get Started” button. Step 2. Now boot your phone into fastboot mode. To do this Turn off your phone and press Volume Down and while pressing Volume Down, press Power holding both buttons to start the device into Bootloader mode. Step 3. Once your phone in Fastboot mode. Connect HTC 10 to PC with USB cable. Step 4. Now open Command Prompt windows ADB folder that you created above from Step (a). To do this Hold Shift button on your keyboard and right-click on the space of the folder. Step 7. Now open this link on your PC. 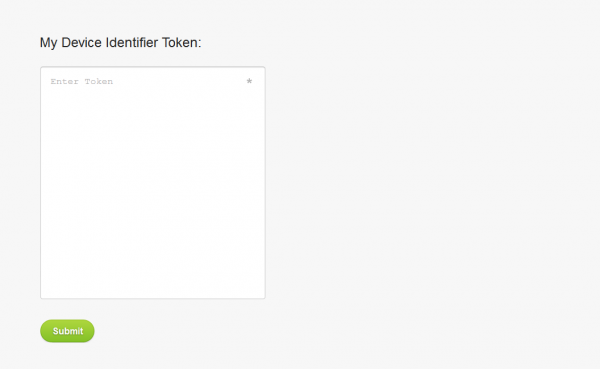 And paste that identifier token into the box at the bottom of that HTCDev page and then click Submit. Step 8. 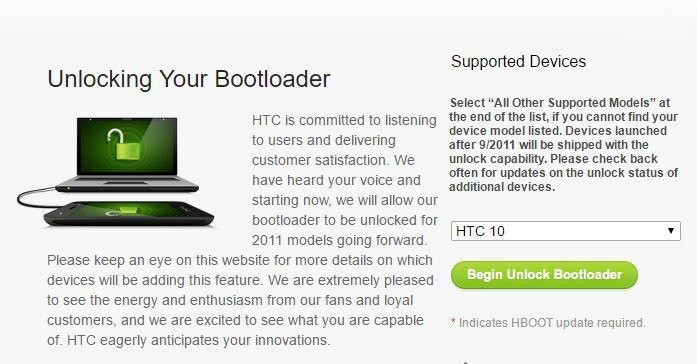 Now you will receive an email from HTC with a “Unlock_code.bin” file attached. Download that file to your ADB folder that you created above. Step 9. Now type the following command in Command Prompt and press Enter. Step 10. Now you will see some process on your phone, and your phone will reboot. That’s it! Your HTC 10 bootloader is now unlocked!